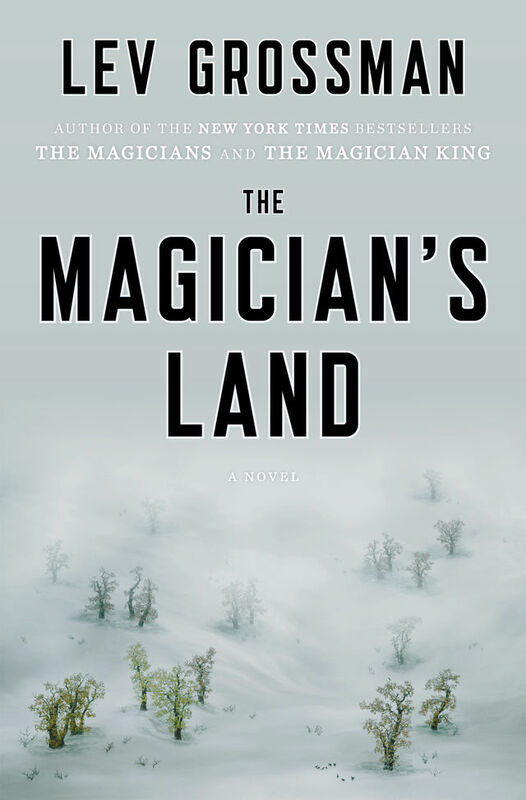 Would You Like to Be in a Trailer for The Magician’s Land With a Bunch of Famous Writers? I’m serious. This is not a theoretical question. I’ve never done a book trailer before. A theme song, yes, but never a proper trailer. And I wasn’t going to do one this time either, except that I had an idea that I liked too much to leave it alone. But I need your help with it. Here’s the idea: I’m going to put together a video of the first few paragraphs of The Magician’s Land being read aloud. But I’m not going to read them. You’re going to read them. It works like this. I’ve split the reading up into individual sentences. They’re at the bottom of this blog post. Each sentence needs a reader. If you’re up for it, pick a sentence and make a video of yourself reading it aloud and then send the video to me at themagiciansland@gmail.com. (I recommend using wetransfer.com for files over 25 MB). When we’ve got all the sentences covered, an actual video editor will stitch the videos together and make it all look pretty. The result: a crowdsourced book trailer. Boom. Pretty simple, really. But there’s also a twist. And a catch. The twist is that I’ve asked some of my writer-friends to read sentences too. There’s going to be some cameos. I’ll announce names in a couple of weeks, but I think it’s fair to say that these are writers whom you know and love. I certainly know and love them. They’re definitely the sort of people one wants to be in a trailer with. The catch is that I’ve got a limited number of sentences to go round. I don’t know how many people are going to want to do this, but we’ll probably end up having to make some choices about which videos to use. So think about fun/creative ways to do your reading. You could read in a tree. Or in costume. Or underwater. You could act out your sentence, or sing it, or make an animated short out of it. Not that any of this is mandatory, but fair warning: if we get a lot of submissions we’ll probably use the funnest ones first. If you’d like to be part of this, scroll down for a list of the sentences to choose from. We’re going to try to wrap up production by June 1, so send your videos in before then. That e-mail address again: themagiciansland@gmail.com. 2. It wasn’t much of a night for it: early March, drizzling and cold but not quite cold enough for snow. 3. It wasn’t much of a bookstore either. 4. Quentin spent fifteen minutes watching it from a bus shelter at the edge of the empty parking lot, rain drumming on the plastic roof and making the asphalt shine in the streetlights. 6. This was just another strip-mall outpost of a struggling chain, squeezed in between a nail salon and a party City, twenty minutes outside Hackensack on the New Jersey turnpike. 7. The cashier didn’t look up from his phone when the door jingled. 10. That’s how un-charming this store was: it had a crow in a cage. 13. He pushed his way back through the racks of greeting cards and cat calendars, back to where the actual books were, his glasses steaming up and his coat dripping on the thin carpet. 15. The store should have been empty, coming up on nine o’clock on a cold rainy Thursday night, but instead it was half full of people.